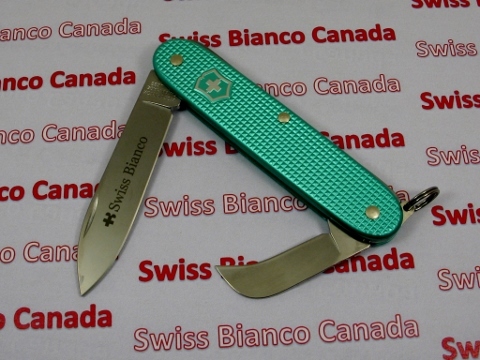 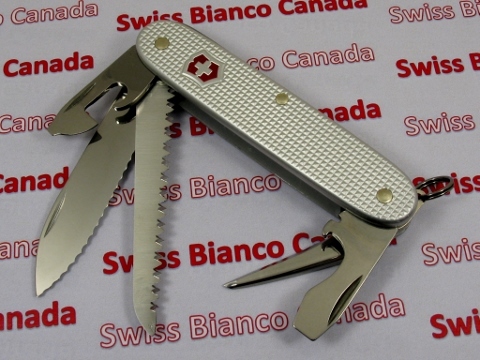 As the Canadian representative of Swiss Bianco, we carry an assortment of products announced in the past and current editions of Swiss Bianco Newsletters, which can be found in Swiss Bianco Newsletter Archive. 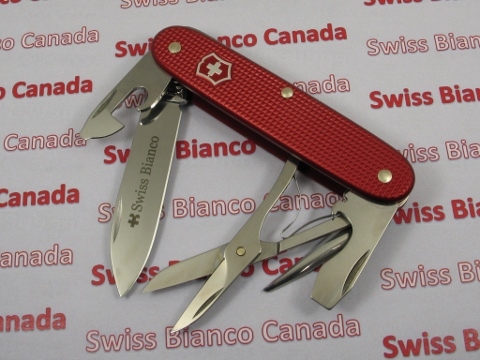 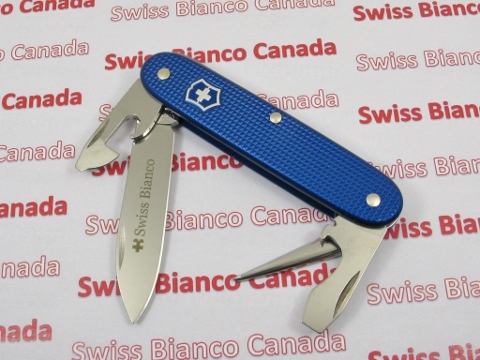 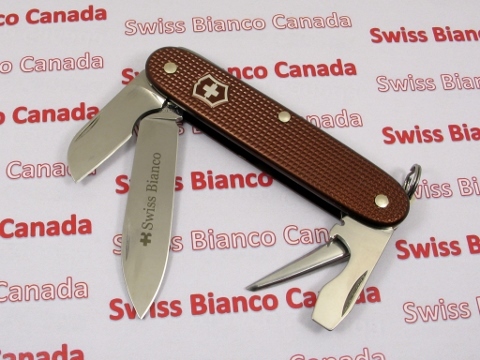 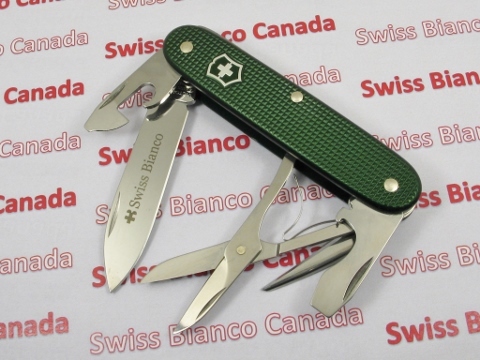 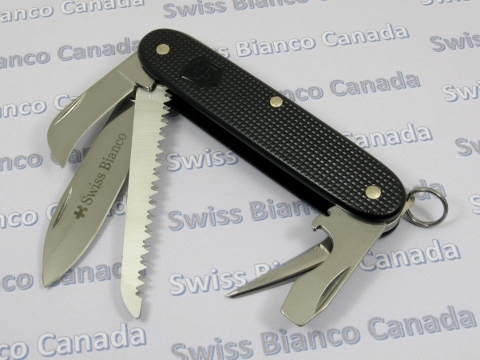 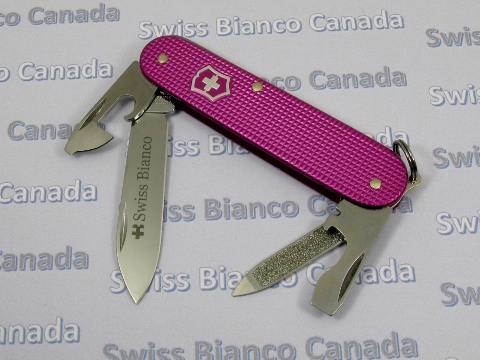 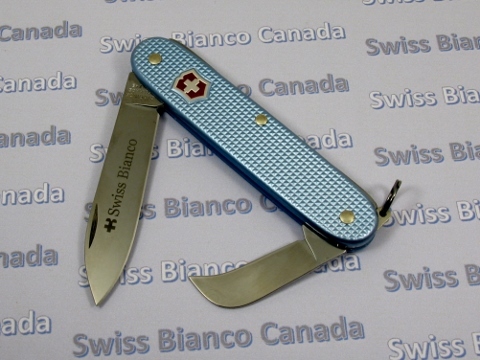 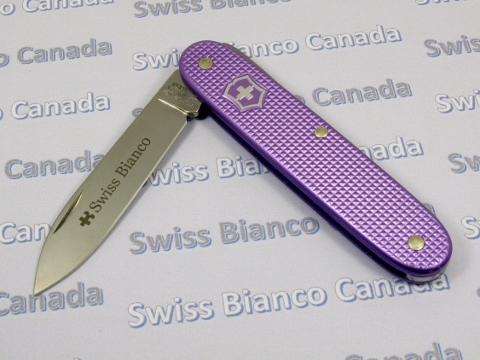 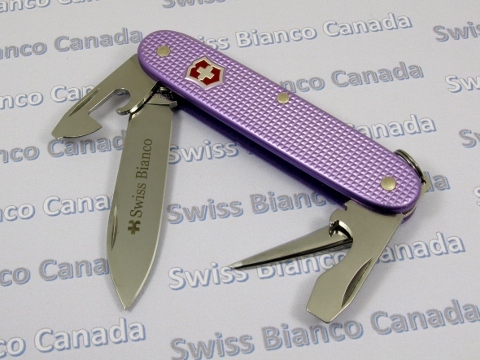 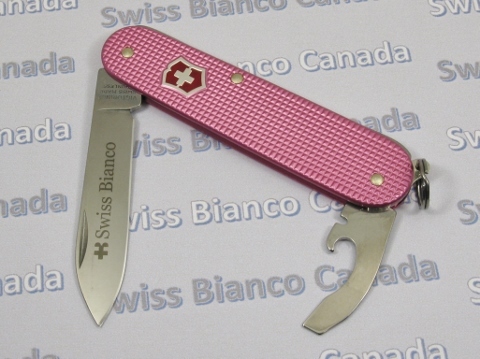 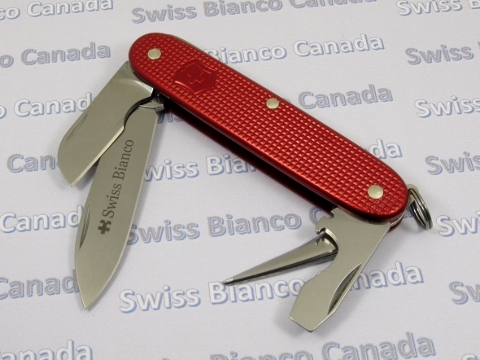 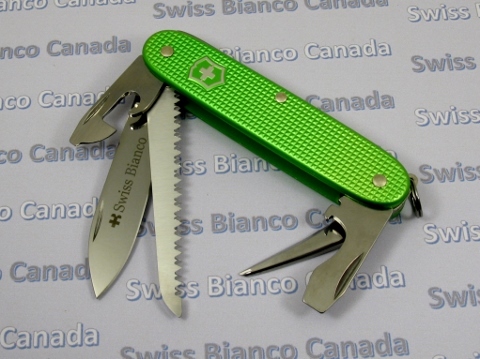 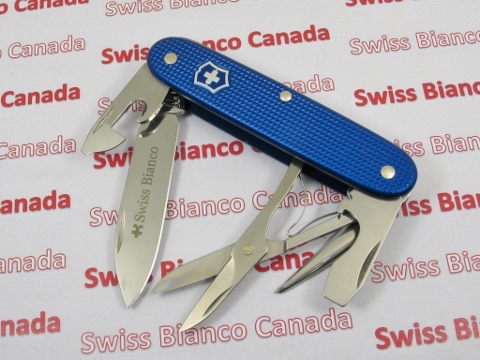 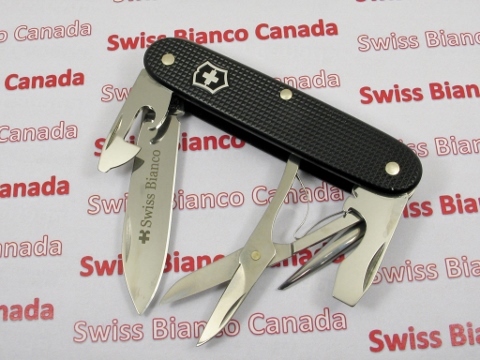 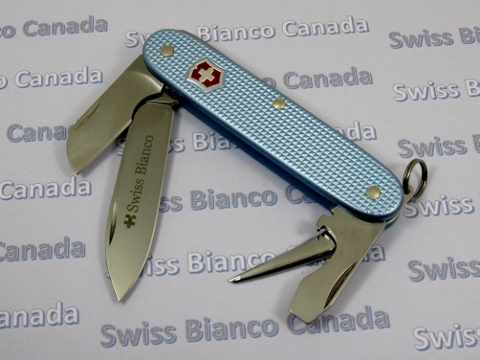 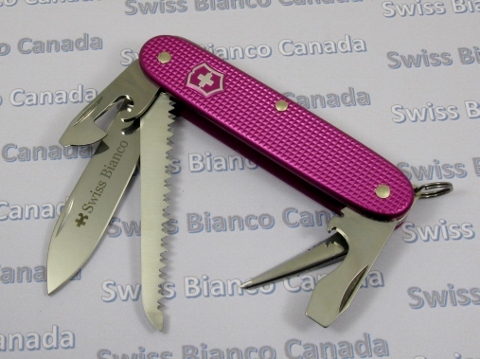 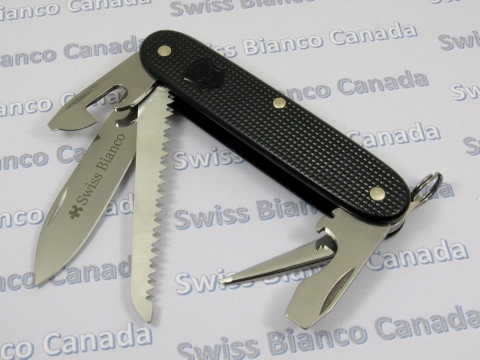 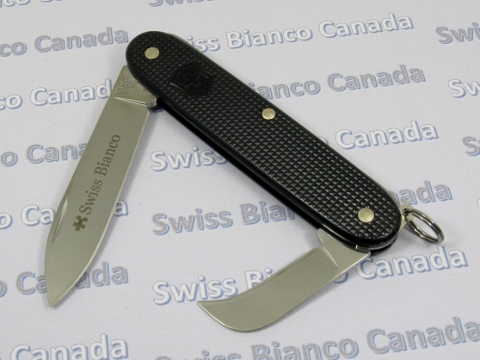 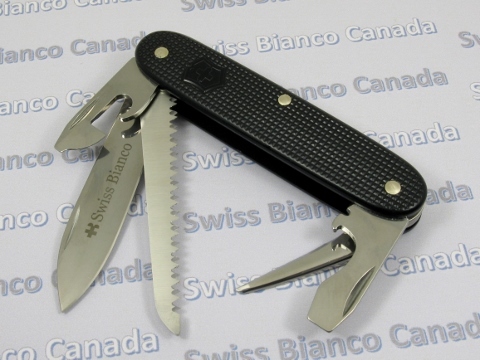 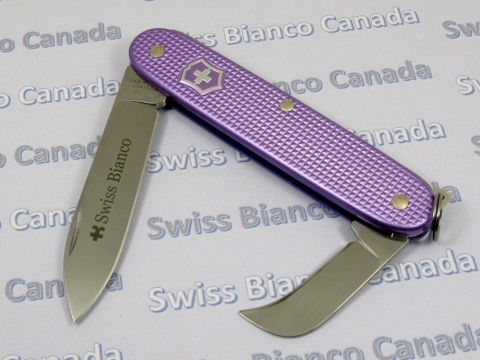 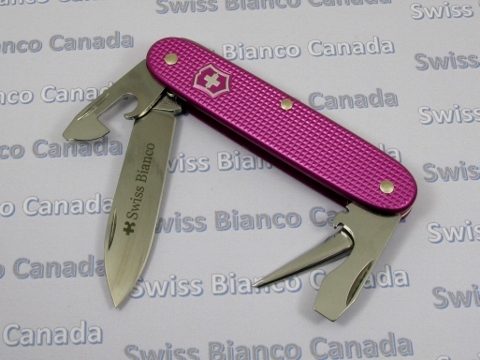 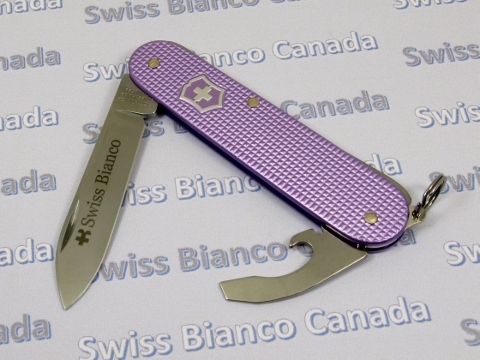 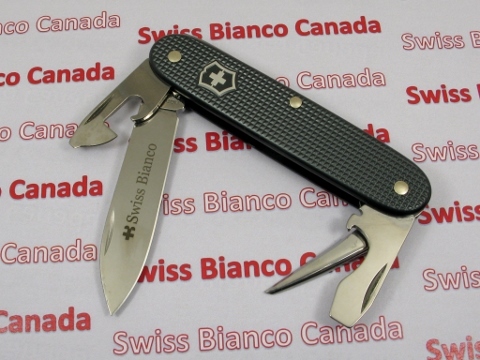 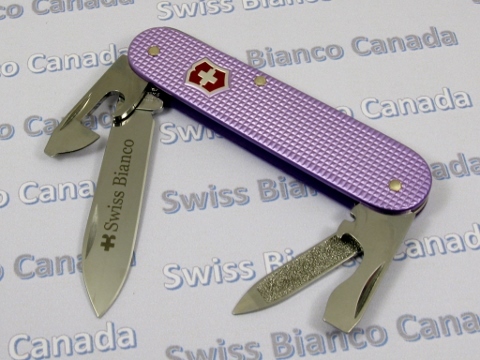 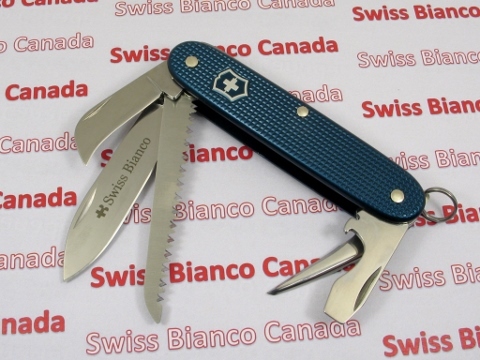 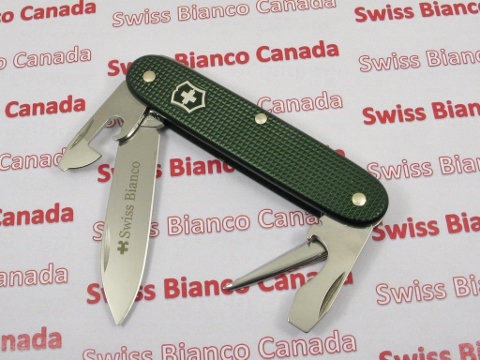 We are also an authorized Canadian dealer for Victorinox Swiss Army Knives (including spare parts and accessories), as well as Victorinox Cutlery Products. 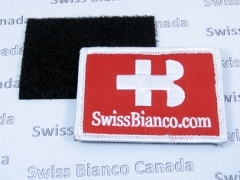 If you live in Canada (or elsewhere in the world, except the USA - American residents, please visit Swiss Bianco USA) and would like to purchase any of these products, please submit your request through the Contact Us Form. 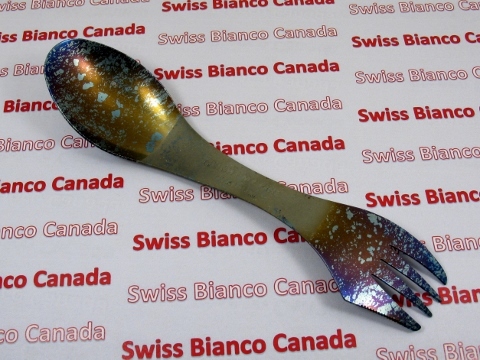 Please list the items you are interested in, along with your postal code, so that we can calculate shipping cost and taxes (GST or HST, depending on your province of residence). 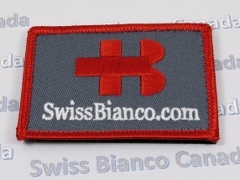 We will respond with a PayPal invoice for the items you ordered. 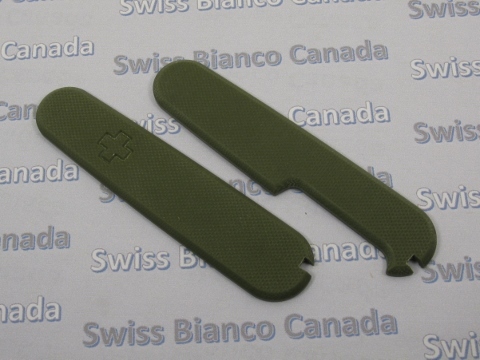 Red G10 91mm scales Swiss Bianco™ Special Scales for 91mm SAK are precision CNC-machined from solid copper, titanium, G10 sheets, and carbon fiber sheets. 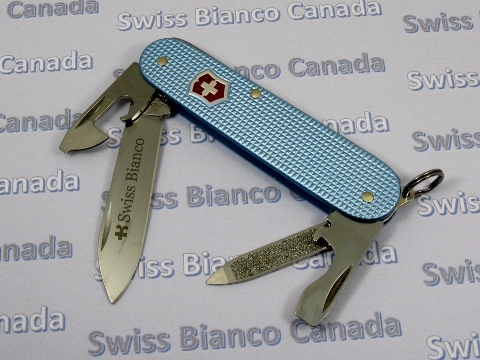 Copper and titanium scales feature slots for Toothpick, Tweezers, Ballpoint pen, and Straight Pin. 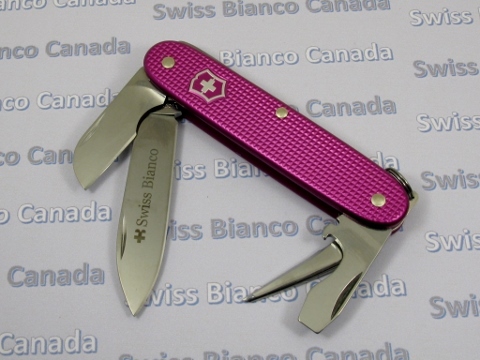 Copper scales weigh 67gm/set and titanium are 34gm/set. 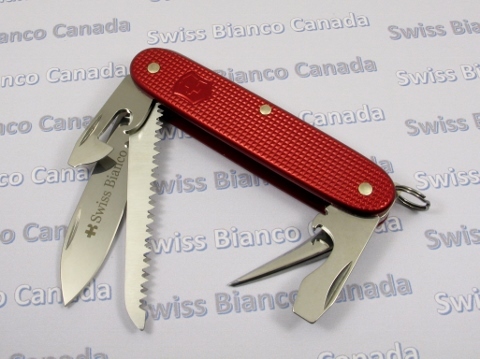 G10 scales, available in Red, Black, OD Green, and Orange, have slots for toothpick and tweezers only. 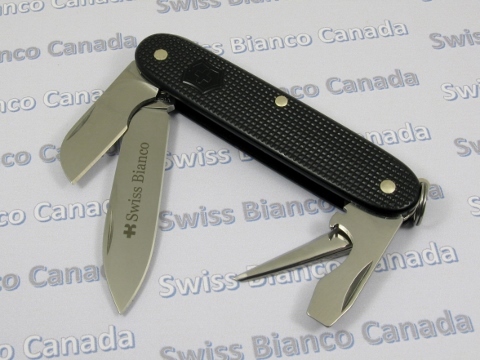 Carbon fiber scales have slots for toothpick, tweezers, and pen, but not the pin. 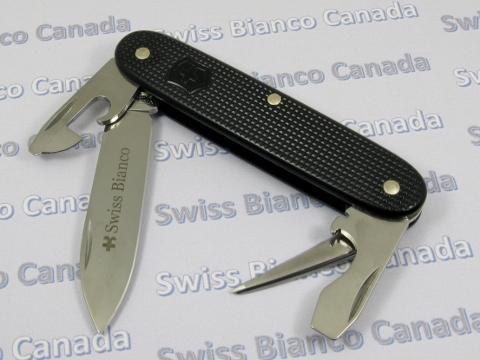 Note on Mounting: Metal, G10, and carbon filber scales cannot be mounted on the SAK in the same way as the plastic (cellidor or nylon), by simply snapping them on. 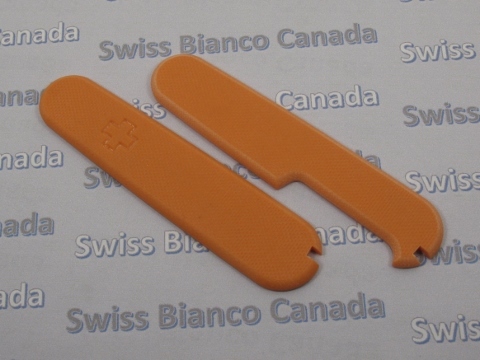 The mounting can be done with epoxy glue (recommended) or 1mm thick industrial double-sided tape (for semi-permanent installation). 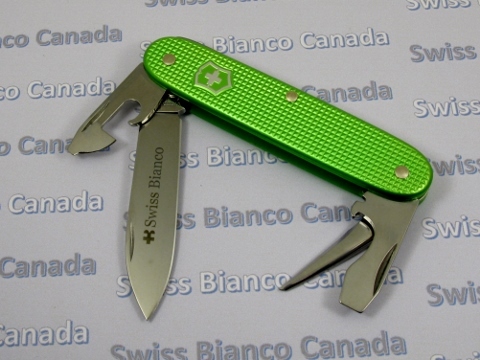 Mounting materials are not included. 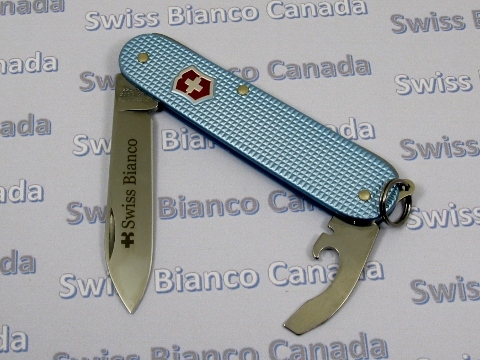 The buyer is advised to "test fit" the scales on the knife before gluing. 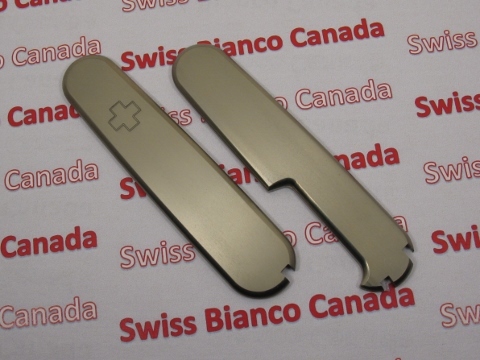 The scales were machined with tight tolerances and it is possible that the protruding pins on the knife may need to be filed down (level with the bushings) to avoid a gap between the scales and the liners. 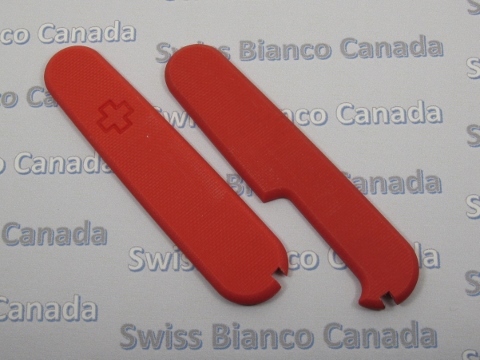 When applying epoxy or tape, please be careful to not obstruct the accessories channels. 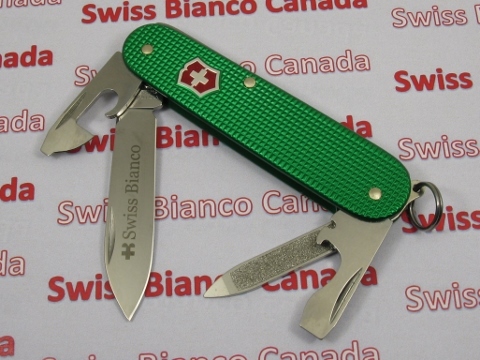 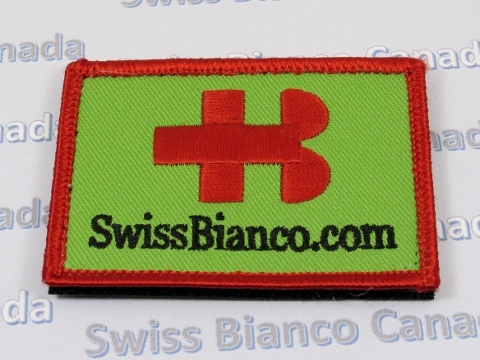 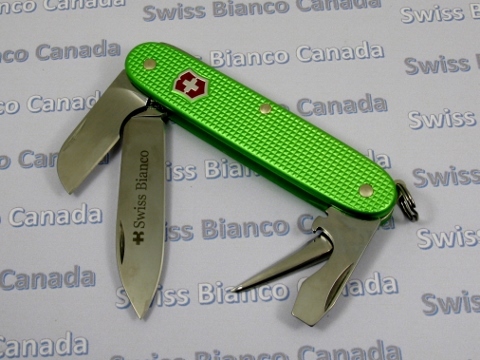 Red on Apocalypse Green Swiss Bianco patches to compliment your Swiss Bianco Swiss Army Knife collection! 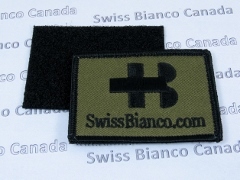 These come with hook and loop attachment system, with the hook pad on the back of the patches and the loop pad to be sewn onto your gear.